Let’s talk “Hair Care” this time. As I was cleaning and fixing my vanity, I noticed I have quiet a lot of hair products and so I’ve decided to narrow them down to my Top 5 most reached products. I’m sure most of us loves to use heat styling tools for our hair and I admit, I blow dry my hair at least twice a week, flat iron and even curled my hair a lot and with that, my hair turned dry, damaged and even with some split ends going on. 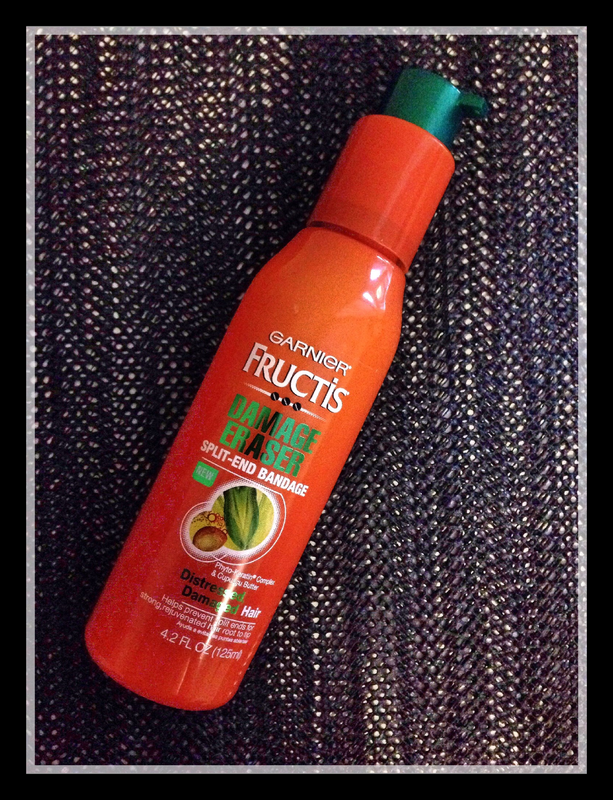 Garnier Fructis -Sleek & Shine Flat Iron Perfector Straightening Mist. 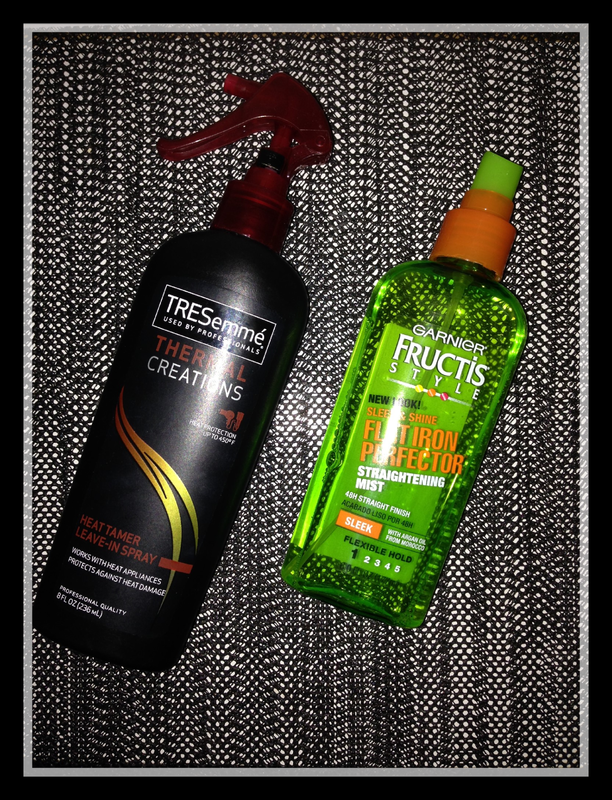 I alternate this Mist with the TREsemme spray and so far it’s working really well. Aside from the best result, I also love it’s pleasant smell. This powerful straightening mist with argan oil from Morocco protects your hair from the heat of your flat iron, while sealing in smoothness and shine for a lasting, sleek finish for 48 hours. Garnier Fructis – Damage Eraser Split-End Bandage. This product has shown results after the first few uses, it helped my hair a lot and I noticed how my split ends started to vanish or should I say they have disappeared. The formula with Phyto-Keratin complex, containing plant-based proteins and active fruit concentrate, and cupuaçu butter, with natural lipids, works in two ways to build healthier, stronger hair and protect from future damage. I highly recommend this Bandage Eraser to all of you guys. Advanced silicone technology. 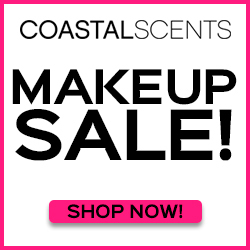 Repairs, protects, and enhances color vibrancy. Gives ultra shiny hair is with light-reflecting color. Exclusive antifadecomplex maximizes color retention. 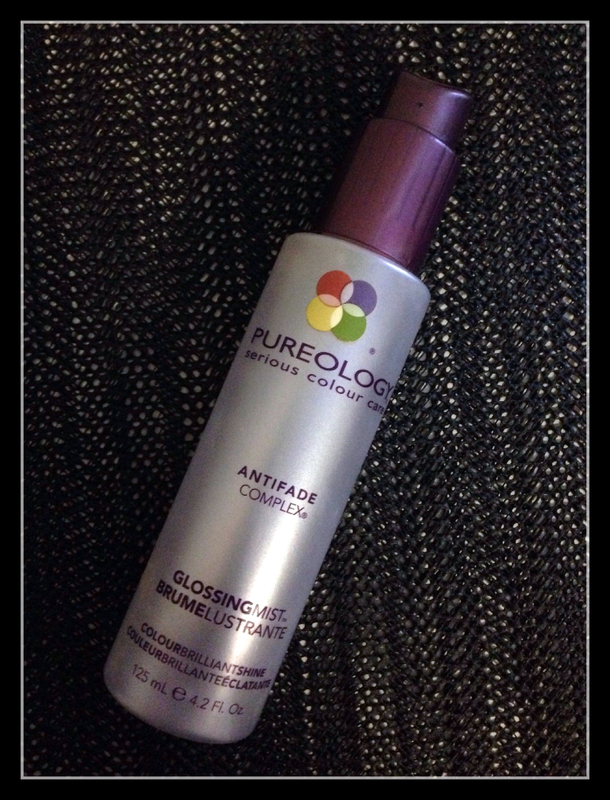 Pureology Anti-Fade Complex Glossing Mist, 4.2 Ounce. I have this product for years now (YES! YearS) and I am not sure if it’s expired or not as it doesn’t have any expiration date on the bottle. I only use this product once in a while or shall I say, I use this for special occasion only. 🙂 This is one of THE BEST hair product I’ve ever own and I’m almost out of it. I’ve been searching all over to find this Glossing Mist but I couldn’t find it anywhere. Perhaps it’s discontinued?? 😦 But! I checked Amazon.com (the go-to site) and waahhh it found it! However, I almost fainted when I saw the price.. 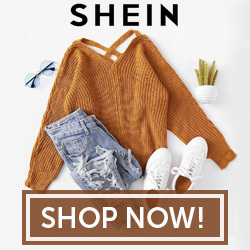 It actually cost $65.85+free shipping (TOO MUCH! it only cost me $20.00 back then).. Anyway, I just spray a very small amount of this glossing mist on my hair after I blow dry, flat iron or curl my hair and it made my hair really shiny, smooth and makes your hair-colour popped even more. Bottom-line, I would recommend this product without a doubt to anyone. Last but not the least, this is something that I just recently discovered. I wash my hair every single day and I know washing your hair daily is not good right? But what can we do? I’m not used to leave the house with unwashed hair. So, I’ve decided to try a dry shampoo. To be honest with you, I’ve never heard of a dry shampoo before until I started watching YouTube videos. Until one day, when I saw this product I thought why not give it a try. 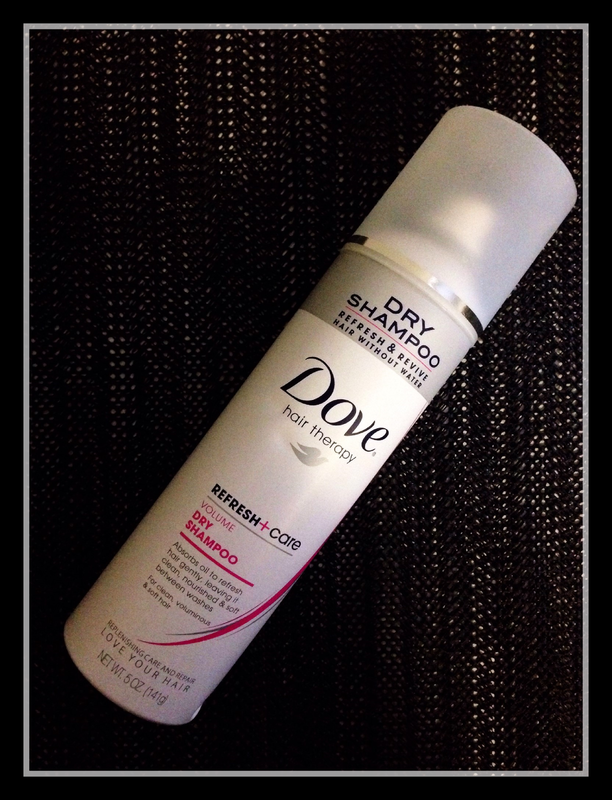 At first, it felt gross not washing my hair until I tried it once, then twice and with this Dove Refresh+Care Volume Dry Shampoo it does it’s job really well as it absorbs oil to refresh hair gently, leaving it clean, nourished and soft between washes. Even my hubby got hooked with it (haha). Great job Dove..Great job! So yeah! tell me what your recommendations guys as I would love to try new stuff. Once again, I hope you all enjoy this post and don’t forget to leave your comments below! 100 Followers & A Cheeky Giveaway! I’ll need to try that dry shampoo, great post! 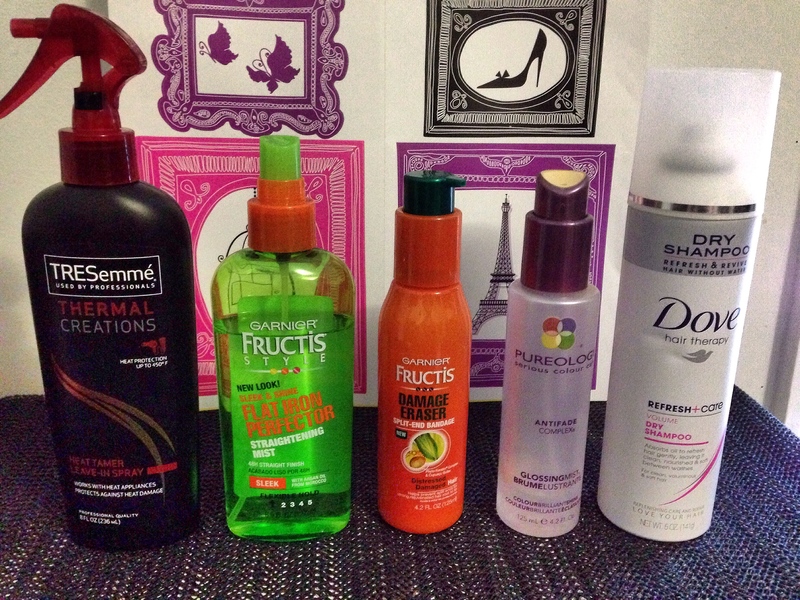 The Tresemme spray is one of my favorites too! I’ll have to try the Garnier split-end bandage. My ends tend to dry out when I’m growing out my hair.